Venture Cup - Printing bones: Why didn’t I think of that? Once in a while, you come across an idea that at the same time seems both far fetched but also totally obvious. 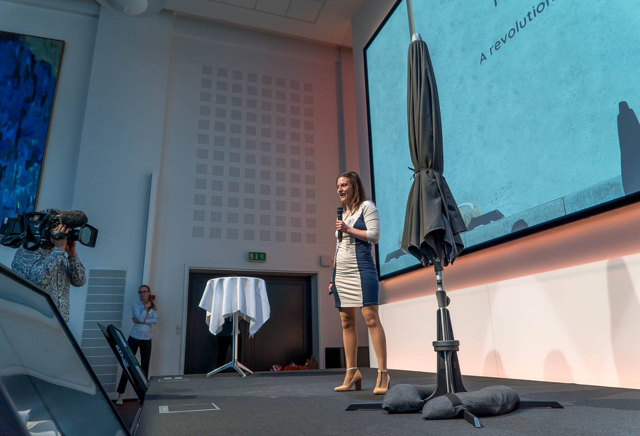 This Wednesday at Denmark’s Venture Cup event, we saw several such examples. One product I wanted to buy right away as it would make my life easier. Also on display was a service I would love to use and an offer that made me want to support it just because it can help to save lives. Full of energy and belief, we went to the Venture Cup National Startup competition to support and share the feelings that unite us all: inspiration and growth. 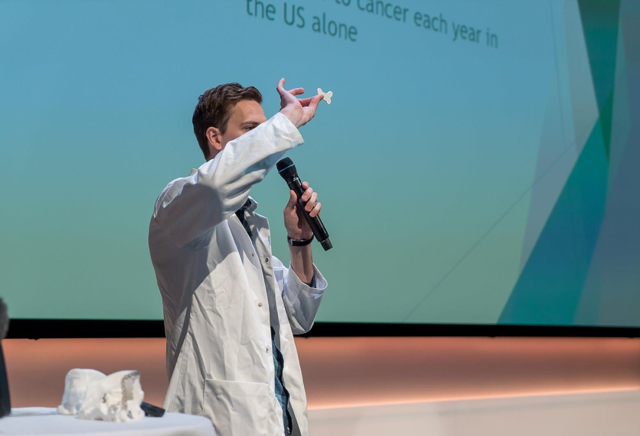 And growing is precisely what the winner of both HealthTech and Overall, Particle3D, does. To quote their promotional material: “A 3D printing method that enables the fast manufacturing of personalised implants to be fitted to the individual patient. The implants are fully composed of endogenous and resorbable compounds found naturally in the human body and do not contain metals or plastics.” In other words, they print bones! Well, to be more accurate, they print natural material implants that the body will then use as a lattice structure to grow bones into. Apart from supporting the overall winner, another reason would be the winner in the Product category Plinthit, who solved a problem that I know I have! It’s the totally frustrating issue of mounting sun parasol/umbrellas. Enough said – go and buy one! We are very proud to be sponsoring the Mobile & Web category. 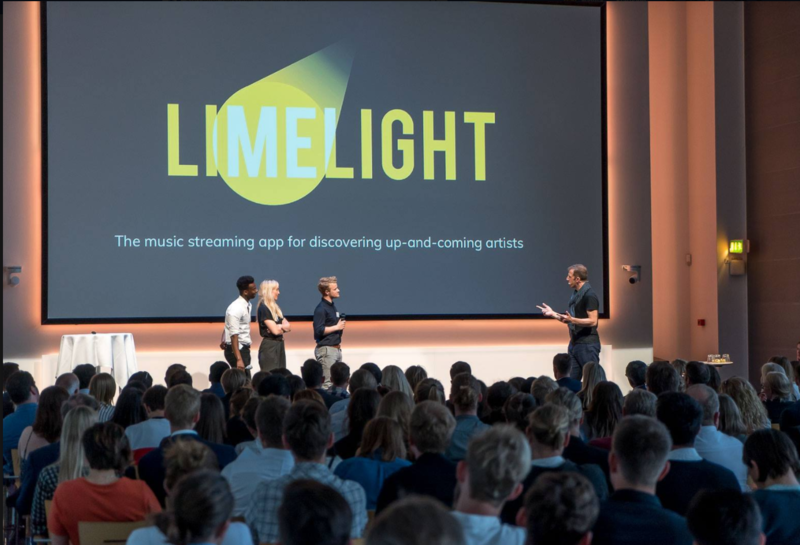 The winner, Limelight Music, is an app and web interface. It makes it easier for upcoming yet unsigned musicians and music listeners to find each other using an algorithm that looks for matches based on the listeners’ tastes. The goal of Limelight is to create and promote an environment that gives every artist a great chance to be discovered while at the same time supporting the record label industry with information about popular new names they should consider signing. What can TimeXtender offer Venture Cup participants? Just ten years ago, we were a small group of nerds and entrepreneurs starting up with an idea. We shared the same pains and challenges as startups today as we faced an established market with a new product idea. The path is never straight, always bumpy and comes with many forks in the road. With a clear goal and a urge to succeed, by believing in our original idea and its power to change something, we stuck with it day after day to become the company we are today. So to the organisers of Venture Cup and all its participants who shared their ideas and listened to the ideas of startups large and small, we say thank you and offer you the very best of luck in moving forward.